These three black pots are ranking rather high in my current day to day routine. 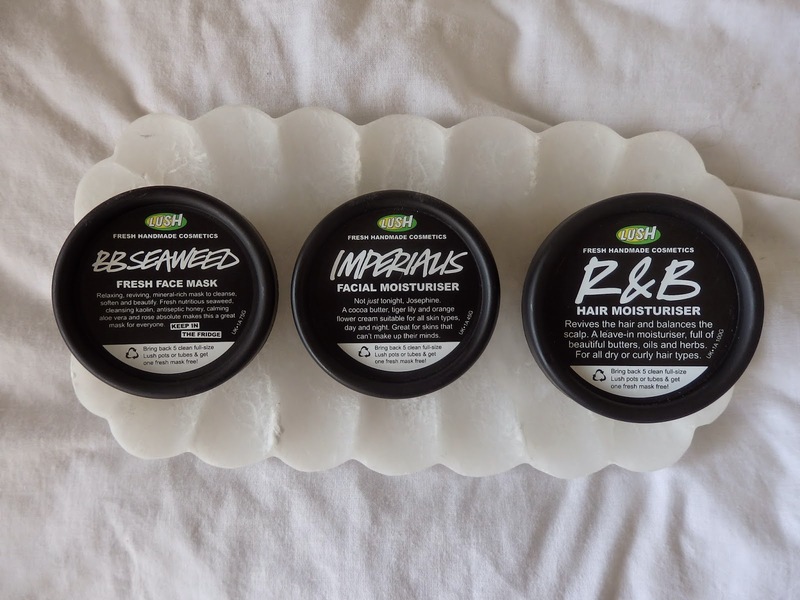 I love Lush and have done since I was a child, I am a big believer in natural products where quality is not compromised and these three show you how natural really can win. First up is BB Seaweed a gorgeous face mask, I have normal skin that can lean both combination and dry this mask calms my slightly sensitive skin whilst deep cleansing and comforting - the perfect mask for when your skin just can't make up it's mind. Secondly is Imperialis my current day and night cream, I used this years and years ago as the smell is so familiar to me. 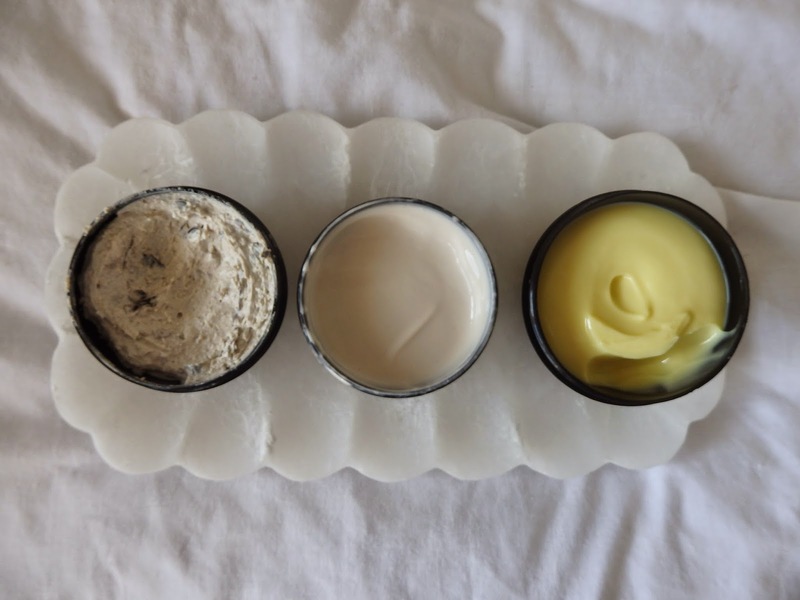 I have been really struggling with moisturisers recently as I am so so picky. It has to smell nice (I don't care how effective it is if I can't stand the smell I won't use it), it can't be too heavy, it has to sink in quickly, it cant leave any residue and it has to deeply hydrate my skin...this baby ticks all the boxes with flying colours, so far so very very good - a full review will be coming soon. Lastly is R & B this is a moisturiser for your hair, a creamy balm that can be used on dry or wet hair, a little does go along way so it last forever, as you can see this is a fairly new pot but there is 4 days usage from that little scoop alone, for me this works just as well if not better than the £20+ oils you can buy from any salon as this is a cocktail of butters and oils including organic avocado butter, extra virgin coconut oil, cold pressed jojoba oil and much more - I am having hair extensions tomorrow so that is what prompted this purchase - I'll keep you updated on that!